We're back with our monthly Ask Amanda post to answer some of your top beauty questions! Today's featured question is, "How do I incorporate color into my makeup?" If you are one of the many out there stuck in the rut of wearing only neutral shades and want to introduce color but don’t where to start, try using one of Amanda's three easy suggestions! 1. Add a pop of color along the lower lash line either with eyeliner or with a bright eye shadow using a brush like the E65. 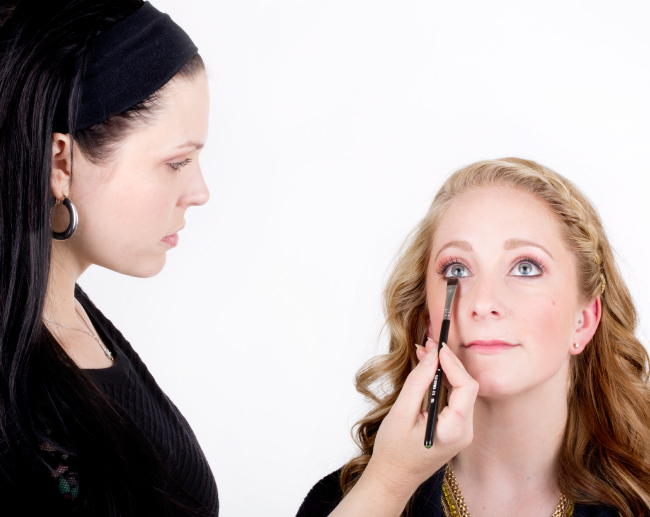 You can go over the line with a smudge brush for blending down to the desired intensity. 2. Take a brush such as the E55 and pick up a small amount of the bold color you want to use. Press this color onto the outer corner of your eyelid. Then using a brush such as the E35, blend this color into your typical, neutral eye look. By keeping the color only on part of the lid it can be subtle while still giving you a fun pop! 3. If you don’t want to use a bold color on your eyes, then go for a daring lip color instead! Simply take a lip brush to precisely apply your desired shade of lipstick. Stay tuned for more Ask Amanda posts each month! And feel free to send your own questions to amanda@sigmabeauty.com. This is great! I love color, but I feel like I cannot get away with it while at my office. I think your suggestion to wear it just under the lower lash line is a great idea to incorporate subtle color! thanks for the tips! check my fashion-beauty blog and hope to see you there! valuable post and well written. love your style.